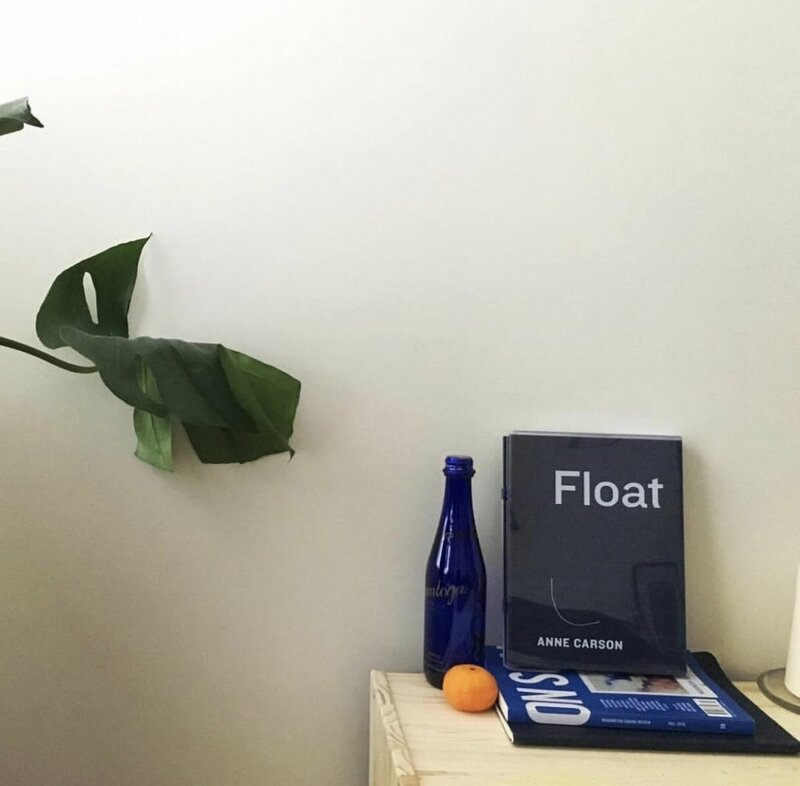 Washington Square Review, an award-winning journal of new fiction, poetry, translations, and interviews, is published biannually by the students and faculty of the NYU Graduate Creative Writing Program. David Leavitt’s story, “The David Party,” which originally appeared in Washington Square Review #40, was republished in Best American Nonrequired Reading 2018, edited by Sheila Heti. Dustin M. Hoffman’s story, “Scraps on Fire,” which was published in issue #39, was listed in the “Other Distinguished Stories of 2017” section of Best American Short Stories 2018, edited by Roxane Gay. Megan Tucker's debut story, "Candidates," from issue #40, won the 2018 PEN/Robert J. Dau Short Story Prize for Emerging Writers and appeared in the PEN America Best Debut Stories 2018, edited by Yuka Igarashi. Amy Hempel's story, "The Chicane," which originally appeared in Washington Square Review #37, was featured in Best American Short Stories 2017, guest edited by Meg Wolitzer. "The Lucky Lady" by Rebecca Schiff and "We the Grandchildren" by Loredo Lucas, both from issue #37, were listed in Best American Short Stories 2017 as "Other Distinguished Stories of 2016." Etel Adnan, Kaveh Akbar, John Ashbery, Dan Beachy-Quick, Zeina Hashem Beck, Joshua Beckman, Marie-Helene Bertino, Charles Bock, Anne Carson, Susan Choi, Martha Collins, Courtney Craggett, Mahmoud Darwish, Lydia Davis, E. L. Doctorow, Nguyen Do, Timothy Donnelly, Stephen Dunn, Thomas Sayers Ellis, Joshua Ferris, Rivka Galchen, Ross Gay, Eamon Grennan, Lauren Groff, Terrance Hayes, Amy Hempel, Yuri Herrera, Brenda Hillman, Edward Hirsch, Etgar Keret, David Kirby, Yusef Komunyakaa, Catherine Lacey, Ada Limón, Ben Lerner, Colum McCann, Shane McCrae, Jeffrey McDaniel, Joe Meno, Paul Muldoon, Carol Muske-Dukes, Eileen Myles, Aimee Nezhukumatathil, Howard Norman, Naomi Shihab Nye, Chinelo Okparanta, Meghan O'Rourke, Helen Phillips, Tommy Pico, D. A. Powell, Brian Morton, Anne Marie Rooney, Evie Shockley, Charles Simic, Ruth Stone, Nguyen Trai, Deb Olin Unferth, Cesar Vallejo, G. C. Waldrep, Elizabeth Willis, John Yau, Jenny Xie, Javier Zamora, Rachel Zucker, and many more. Before contacting us about submissions, please review our submission guidelines. If you still have questions, our editors would be happy to assist you via email. We invite booksellers to order Washington Square Review from TNG (formerly Ingram Periodicals). The Fall 2018 issue. To view the full table of contents, click here. Three print issues, delivered to you. Six print issues, delivered to you. 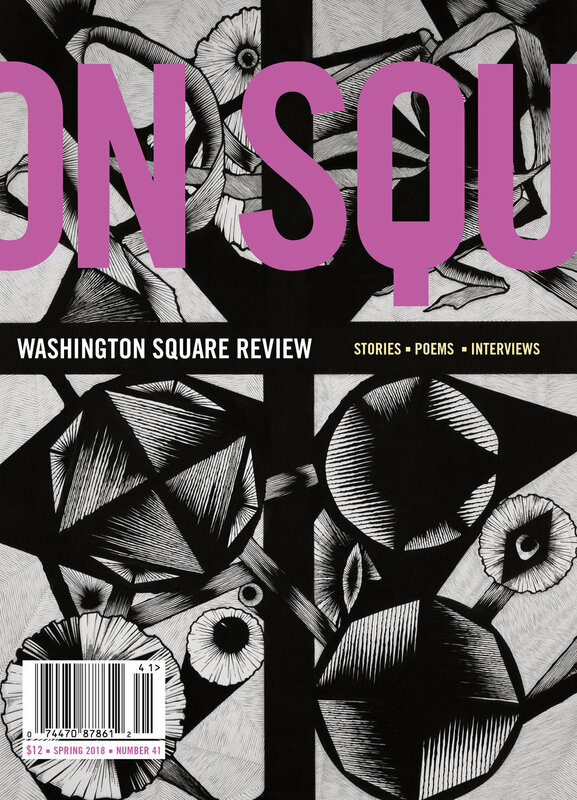 Purchase two award-winning issues of Washington Square Review for just $15! Issue 37 features Amy Hempel's story "The Chicane," which appeared in Best American Short Stories 2017. Issue 37 also includes "The Lucky Lady" by Rebecca Schiff and "We the Grandchildren" by Loredo Lucas, both listed in Best American Short Stories 2017 as "Other Distinguished Stories of 2016." Issue 40 features David Leavitt’s “The David Party,” which appeared in Best American Nonrequired Reading 2018. Issue 40 also features Megan Tucker's "Candidates," which won the 2018 PEN/Robert J. Dau Short Story Prize for Emerging Writers and appeared in PEN America Best Debut Stories 2018. Browse and search past issues. As a nonprofit literary journal, we welcome donations of any kind. Our ability to publish emerging and established writers greatly depends on the generosity and support of donors. Patrons who are able to make a donation in excess of $25 receive a one-year subscription and are recognized on our acknowledgment page based on donor level. 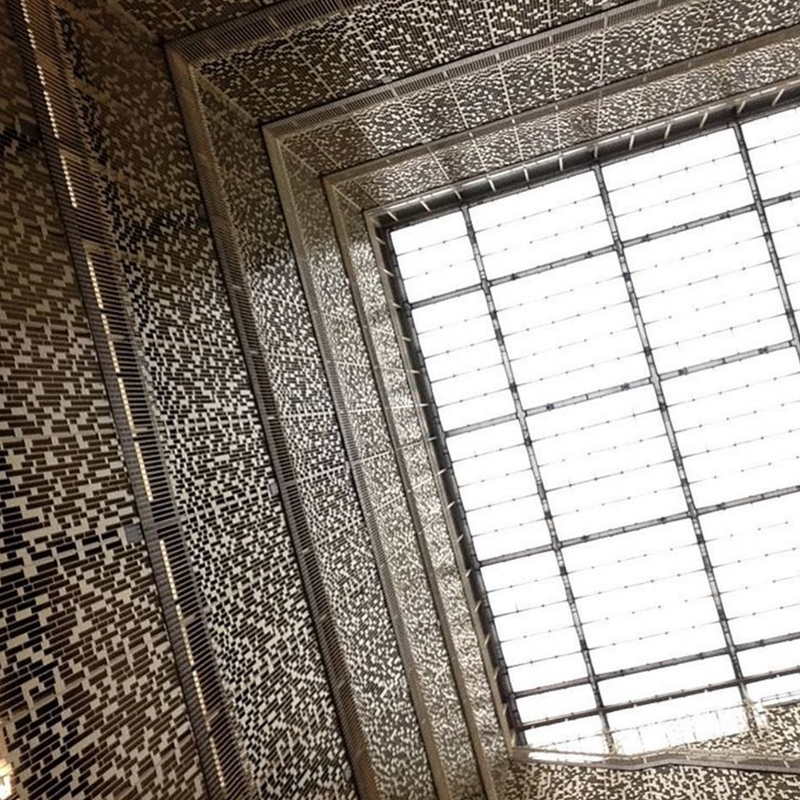 To make a donation by mail, please send a check payable to New York University to: Washington Square Review, 58 West 10th Street, New York, NY 10011. To donate online, please click here.